In the immortal words of Hilary Duff, “Let’s go back, back to the beginning.” January 2016 played host to a series of Kardashian-Jenner-West-Rose-Chyna feuds that have been years in the making. 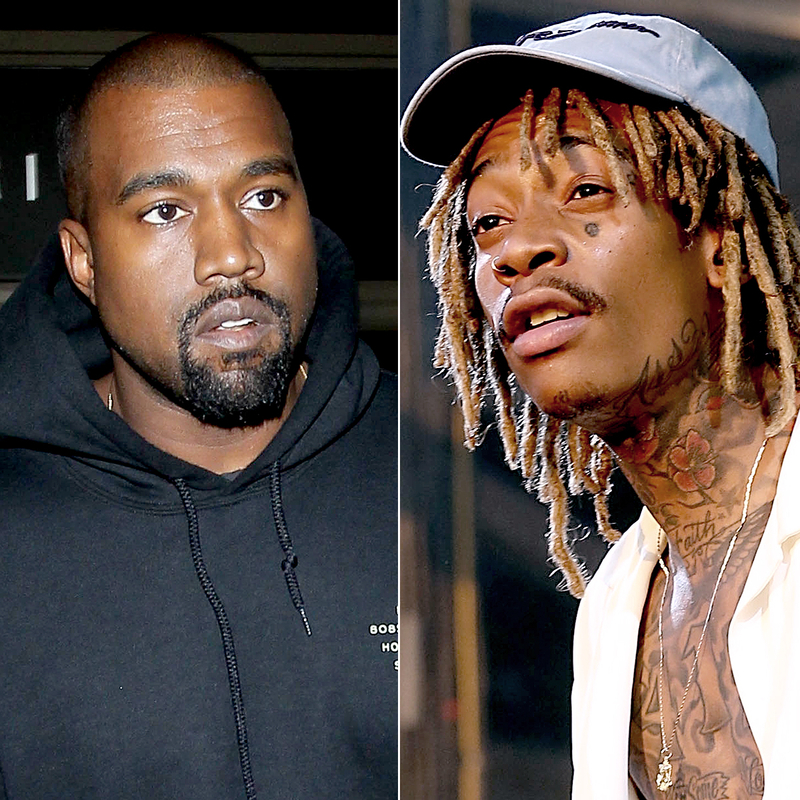 From “cool pants” to clover emojis, there’s a lot of backstory that needs explaining in order to completely understand everything that went down among Kanye West and Wiz Khalifa and Rob Kardashian and Blac Chyna. 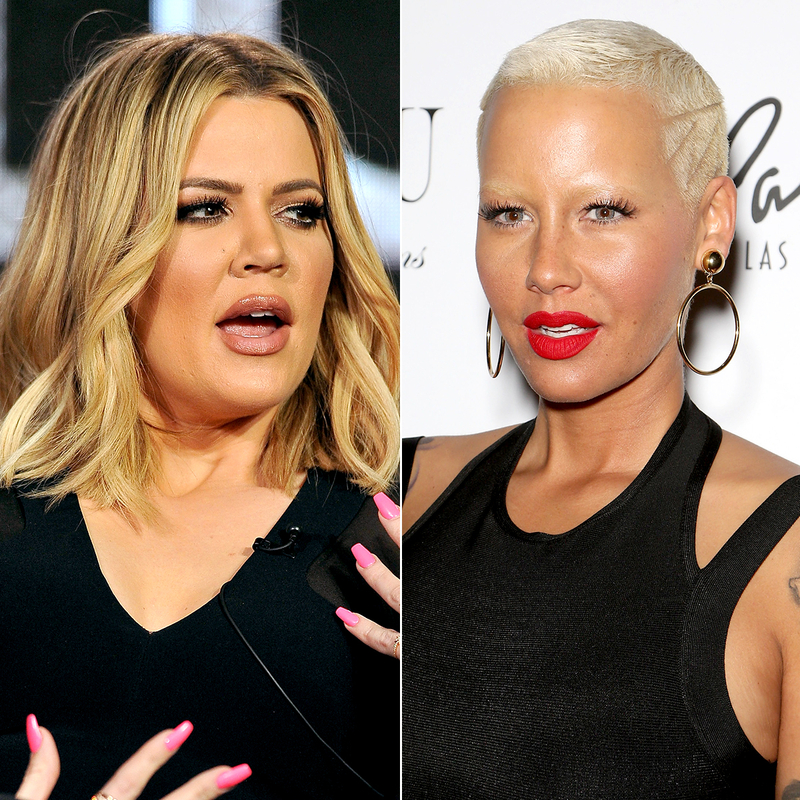 To keep you informed, Us Weekly has broken it down with a comprehensive timeline of events. In 2008, the Grammy-winning rapper started a relationship with unknown model Rose after spotting her in Ludacris’ “What Them Girls Like” music video. The pair had a public two-year romance. 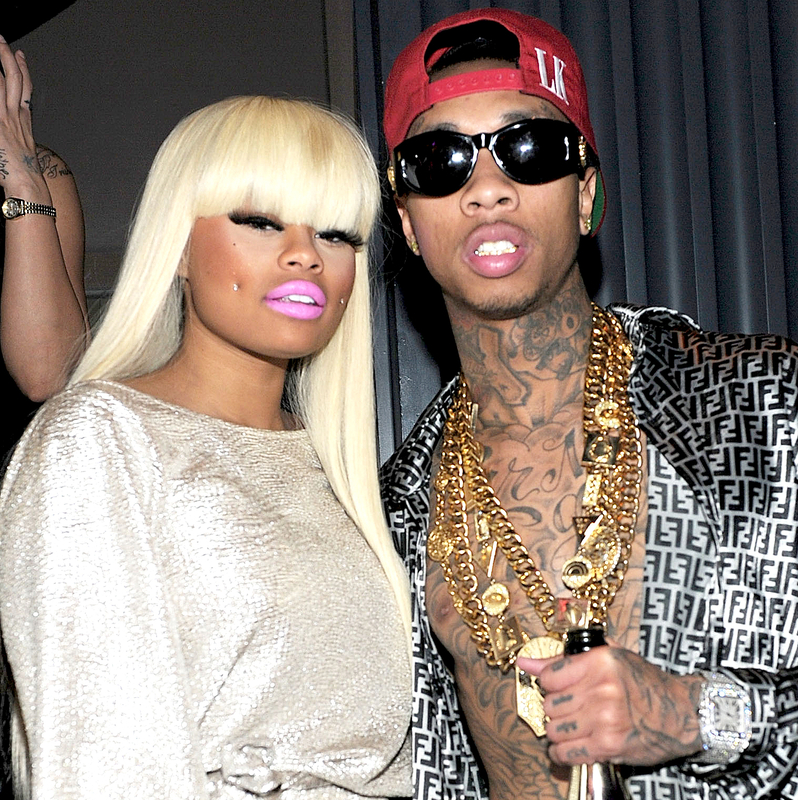 Meanwhile, an up-and-coming rapper named Tyga welcomed a baby boy named King Cairo Stevenson with his then-girlfriend, model Blac Chyna, in October 2012. “Most amazing feeling ever. #Blessed #2Kings,” Tyga captioned a Twitter photo cradling his little boy. That December, the couple confirmed they were engaged in an Instagram post featuring Chyna’s giant diamond ring. Fresh off his split from Rose, West set his sights on his longtime friend and crush Kim Kardashian in early 2012. The pair were spotted out together and Kardashian’s famous family even started pressing the reality star for details on her new romance (remember when he let her borrow his car?!). In February 2013, Rose and Khalifa had their first child, son Sebastian, announcing the news on Twitter. In July 2013, the couple secretly wed; the next month, they had a big ceremony in which Rose wore a stunning Pnina Tornai for Kleinfeld gown. She didn’t share photos from the private event until their one-year anniversary. Following a difficult pregnancy, Kim gave birth to her daughter, North West, in June 2013. West penned the song “Only One” for his little girl. Click here to see the most adorable pics of Nori. Chyna started making regular appearances in Kardashian’s Instagram photos in early 2014. As new mom Kim worked hard to get back to her pre-baby weight in time for her wedding to West, she posted selfies in workout clothes with Chyna by her side. 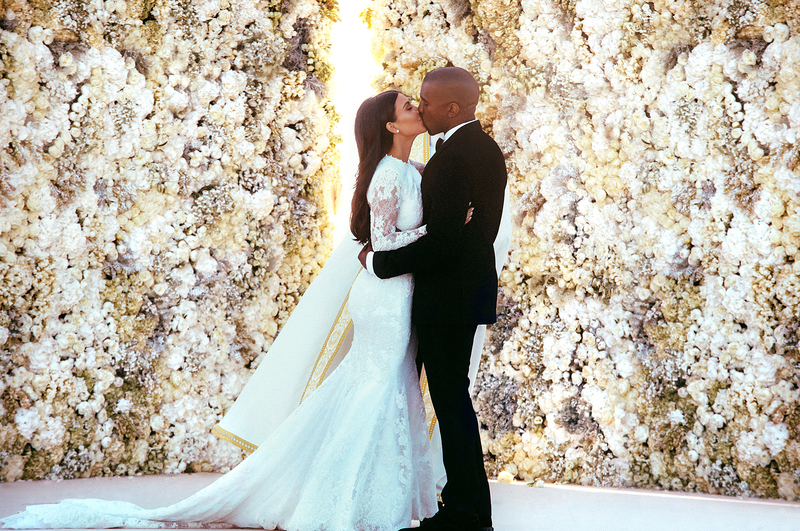 After gracing the cover of Vogue in wedding couture, the A-list couple tied the knot in an elaborate European wedding weekend that began in Paris and ended with an Italian ceremony in May 2014. Despite previously saying she wanted to be with Khalifa “for the rest of my life,” Rose filed for divorce in September 2014, just 14 months after they tied the knot. “I never knew what a true heartache felt like until now,” Rose tweeted several weeks later. 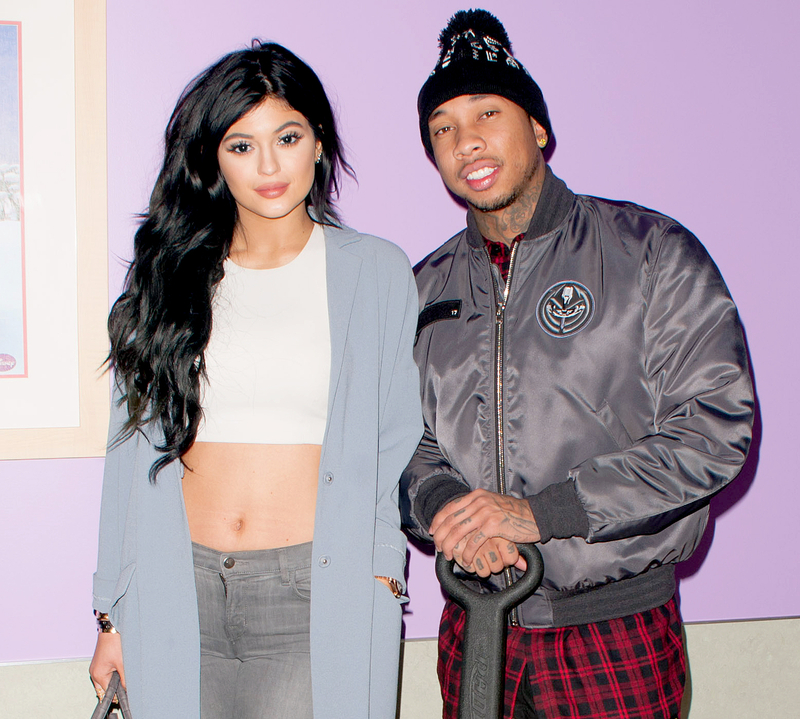 In the fall of 2014, Tyga and the youngest of the Kardashian-Jenner clan sparked a series of dating rumors after they were seen hanging out together regularly. In August 2014, Tyga hosted Kylie Jenner’s 17th birthday party, and they continued to be spotted out together as the months went on. However, due to Jenner’s underage status, the couple never publicly acknowledged their romance. Not willing to let her little sister get thrown under the bus, Khloé Kardashian weighed in on the feud on Twitter. “’I was a stripper since I was 15 years old,’ Amber Rose told Foxx. Please don’t worry about my sister who has a career & her s–t together at ONLY 17 people who live in glass houses shouldn’t throw stones,” Khloé tweeted, making note of Rose’s past as a stripper. “Please stop talking about us in interviews mama. None of us talk about you.” Her comments prompted an intense back-and-forth between the two. In August 2015, Jenner finally turned 18 and, now legal, went public with Tyga. The social media starlet had a blowout birthday bash, and her new official beau gifted her with two cars, including a $260,000 Ferrari. The pricey purchase sparked a fresh feud between Tyga, Chyna and Rose. TMZ reported that Tyga had leased the swanky gift, which Tyga claimed was a lie. “When the hating don’t work they start telling lies. #WhereYoFerarriTho?” he captioned an Instagram selfie. Naturally, Rose chimed in, defending her friend with a photo of her own pink Ferrari. “She don’t need a Ferrari she can Drive mine,” she captioned the shot. On Tyga’s 26th birthday in November 2015, the couple split and Jenner deleted almost all mentions of her flame from her Instagram account. But days later they made up, and Jenner described the rekindling romance as “Chaos” in a new post. Us exclusively broke the story in January 2016 that Tyga had been cheating on Jenner with Brazilian model Annalu Cardoso for months. The pair started texting in late 2014 and had “hooked up a couple of times,” an insider told Us. Around the same time, 14-year-old model Molly O’Malia also accused the “Stimulated” rapper of sending her “uncomfortable” messages. A day after Chyna’s Instagram post, Rob reposted a meme of his new love holding a car seat. “Blac Chyna probably out shopping rite now as she plan to give birth to the only next generation of the Kardashian Name! #BabyKardashian.” He captioned the meme with the clover emoji, which became a secret symbol between the pair. Twitter users pointed out that Rob’s birthday is on March 17, a.k.a. St. Patrick’s Day. “The family is in a bind trying to be supportive of Rob’s life while being sensitive of Kylie’s relationship with Tyga,” a source explained to Us at the start of the romance.